Sometimes the first time a couple hold a baby is when their own newborn is placed on the mother’s chest after birth. The baby can seem impossibly small and fragile. This page has some resources that will help you keep your precious new bundle safe and healthy in the early days, weeks and months of its life. 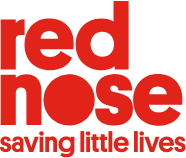 Red Nose is an organisation that provides education to help prevent Sudden Infant Death Syndrome (SIDS). Their website has information about safe sleeping, safe environments, safe lifestyles and safe practices to protect your baby from SIDS. On this website you will find information about current news and events, resources and information sheets to help keep children safe. The NSW Blue Book is a record book given to parents in the hospital after their baby is born. 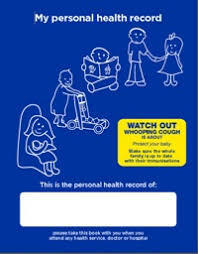 Routine immunisations and check ups are recorded in this book along with useful information about developmental milestones.Take it with you to any appointments you have with midwives, doctors and child & family nurses. The RCH has excellent fact sheets for parents explaining common health problems that your child may encounter. They also have an app available.